Natural countertops include granite, marble, limestone, travertine, slate, wood, soapstone, onyx, and any other sufficiently hard material found “as is” in nature and cut into slabs or tiles. Engineered surfaces include any countertop that is heavily processed or “man made” from raw materials. These include engineered quartz (which is ground-up quartz mixed with resin), plastic laminate (like Formica), solid surface acrylic (like Corian), ceramic tile, stainless steel, copper, glass, concrete, terrazzo, and even recycled paper. My friend was telling me the other day how she wanted to make her new kitchen feel great for her wallet as well. She decided to get a new energy provider that synced up with her values and she got such a great deal. If you’re interested in making the change yourself, click here. Back to Reality: If the plethora of kitchen countertop options is overwhelming to you, stop right here. While it’s interesting to know what is available, the majority of my clients chose to stick with tried and true granite countertops, which are available in hundreds of colors. 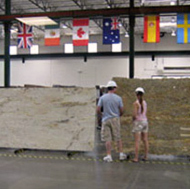 Engineered quartz is also a great everyday choice (see popular kitchen countertops below). If you’re curious about exotic options, we honor your exploring spirit and are happy to provide some inspiration. 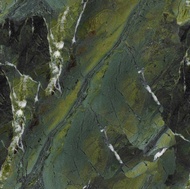 Alternatively, you can learn about quartz counters by visiting Econgranite. Mixing and matching kitchen countertops is one way to be adventurous without committing the entire kitchen to one material. For example, some people choose to put a different granite color on the island in order to set it off visually from the rest of the kitchen, while others may want a kitchen desk with a carbonized bamboo countertop. Talented cooks may wish to cordon off a section of their countertop with a block of marble for rolling dough and a butcher block countertop for chopping food. This has all been made possible with the Shuttercraft design team. Practical Issues: Keep in mind that some alternative surfaces are less durable than granite countertops and may show wear rather quickly. Caring for your counters will be a consideration, as will food safety and stain resistance. Also in regards to safety, one method I employ when designing a kitchen is to round off or angle hard corners in the countertop. This can be a “hip saver” for adults, and “head saver” for children zipping around the kitchen. 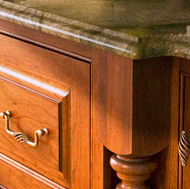 Ask your cabinetmaker for clipped corners in high-traffic areas, which will allow the countertop to be angled as well. #2 – Quartz: Engineered quartz kitchen countertops are an excellent choice for those who want a durable surface with a consistent appearance. The leading manufacturers include Caesarstone, Cambria, Silestone, and Zodiaq. #3 – Laminate: For small homes and rental properties, plastic laminate countertops are an affordable choice. Countertop laminate can look like wood, metal, and granite. The top brands include Wilsonart and Formica. #4 – Solid Surface: Corian is the most well-known manufacturer of solid surface / acrylic countertops in the world. Unlike laminate (a thin layer of hard plastic), Corian is a 1/2″ slab of acrylic that can be shaped like granite. #5 – Tile: While the popularity of tile kitchen countertops has dropped in recent decades, designers sometimes use tile surfaces for dramatic effect in certain areas, such as on an island or wet bar, or in period kitchens. #6 – Other Products: Alternative countertop materials include concrete, glass, limestone, marble, onyx, recycled paper, semi-precious stone, slate, soapstone, stainless steel, Terrazzo, travertine, and wood. » Compare Your Options: Before finalizing your countertop materials, it’s important to understand the differences in terms of durability, appearance, and cost. However, please note granite should not cost an arm & leg in today’s markets. If the price seems too high shop around. 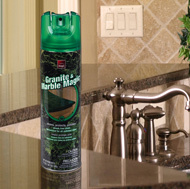 Cleaning Granite: We use any ammonia free cleaner on our own countertops, and refer it to our clients. After cleaning, we use Pledge wiped on & buffed off. it appears as if you’ve slaved hours to bring the luster back in the stone. 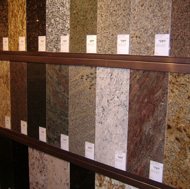 Sealing Granite: The best granite sealers aren’t always found in home stores. DuPont makes StoneTech Sealer , which soaks deeply into the surface for the best possible protection. More Help: If you’re looking for an extensive resource for all types of kitchen countertops, visit a regional supplier not just a fabricator or seller. They offer great advice and answers to common questions that homeowners face when choosing and maintaining their countertops. However, they probably will not provide pricing due to the fact they only sell direct to fabricators.